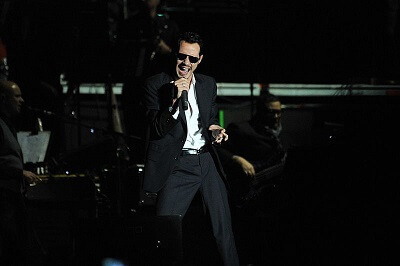 Get notified when Marc Anthony tickets are available! Marc Anthony is an American singer/songwriter, record and television producer and actor. This artist debuted in 2001 with his record titled “When the Night is Over.”He is known as the best-selling tropical salsa artist in the history of the genre. With two American Grammys and 5 Latin Grammy Awards, Marc Antony has reached huge success and has over 12 million album sales across the globe. Promoting popular albums like Mended and 3.0, Marc Anthony tours just as often as he used to, and you can catch him live by using one of the links found above for Marc Anthony tickets and tour dates.